The 2016 Kia Sorento SXL Review: The biggest external changes for the 2016 Sorento are in front, with a bolder take on Kia’s tiger nose grille, its shape befitting a Jaguar, and with a grille texture that has a rich feel and look of the latest Mercedes-Benz offerings. The new face, shared with the next-generation Sedona minivan, wears the alert look of today’s cars. The headlamps have a bit more squint, and at the lower corners are prominent fog lamps in four trapezoidal ice cube sections. The new Sorento now rides on a 3.1-inch longer wheelbase, which provides more legroom and easier rear seat access inside while adding 1.5 cubic feet of additional cargo capacity. The longer wheelbase also gives the new SUV a more stable ride. Choose from five levels, from the entry L through the LX, EX, SX, and SX-Limited (SX-L). Kia offers three engines, starting with the base 2.4-liter inline four, (185 horsepower, 178 lb.-ft. of torque) in the L and LX. 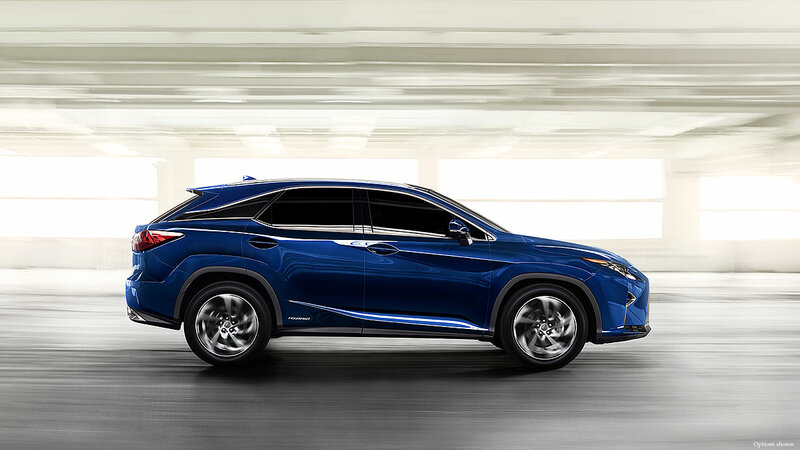 Or, step up to a 2.0-liter turbocharged four (240 horsepower, 260 lb.-ft. of torque). At the top is the 3.3-liter V6 (290 horsepower, 252 lb.-ft. of torque). My Snow White Pearl test car was at the pinnacle of Sorentos, an SX-L with the V6 and optional All Wheel Drive (AWD). Kia’s AWD system is completely automatic, sending power to the wheels with the most traction. It’s designed not for off roading but for greater safety when the road is wet or icy. The 4WD Lock Mode splits power evenly front and rear when you need it, and with AWD and the 3.3-liter V6, you can tow up to 5,000 pounds. Kia has outdone itself with an interior remake that feels more like a luxury car than an SUV. Everything is interesting to look at, padded, and beautifully integrated. The leather on my test car’s seats was not only soft and beautiful, but for the ventilation feature, the perforations were configured in attractive diamonds, not just the usual series of dots. The leather-wrapped steering wheel in my top-level tester had the top ¼ in “wood,” a typical luxury feature that’s amusing during sharp turns, as the wheel changes textures in your hands. The shapes flow gracefully from the dash onto the doors, and the plastic surfaces are soft-touch. The instrument panel stays with clean, simple design, with what is becoming a humorous industry standard 160-mph speedometer. I tested the car’s cargo capacity, as usual, by placing my upright bass in the back. With the 40/20/40 split second row seats, I could leave 60 percent up, leaving room for two people in the second row plus the instrument. Normally, there’s only room for one. The third row flips down easily for a perfect flat surface. The rear hatch moves up and down electrically. The new Sorento rides better than the old one, in fact, it felt better than many other crossovers I’ve tested. Kia increased the frame’s torsional rigidity by 14 percent, thanks to greater use of high-strength steel, laser welding, industrial strength adhesives, and other advances. Despite weighing in at nearly two tons in SX-L form, it never felt ponderous. Of course, with 290 horsepower available, it shoots into slots in traffic and loafs on uphill climbs. The EPA fuel economy figures for the 3.3-liter V6 are 18 City, 26 Highway, and 21 overall. I averaged 17.4 mpg, but I only had the car for a few days. The two four-cylinder models have Overall numbers of 24 mpg for the 2.4-liter and 23 mpg for the 2.0-liter turbo, which is a bit better, but not as big a difference as you might expect. My V6-equipped tester earned a 4 in the Greenhouse Gas test, below the mean; the Smog rating was not available from fueleconomy.gov. Kia offers a broad range of electronics for both safety and entertainment. An audio highlight is the Clari-Fy system, which rebuilds details that are lost in today’s digitally compressed music files. That’s important when you’re enjoying the optional 630-watt, 12-speaker Infinity system. Kia’s UVO eServices offers new features like Speed Alert, Curfew Alert and Geo-fencing. 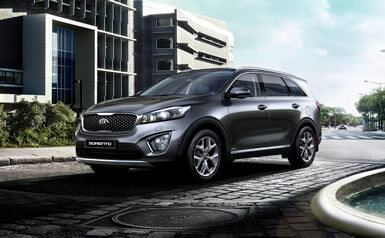 See Kia’s website for details.